This adorable wooden tray would look great with your farmhouse or rustic decor! 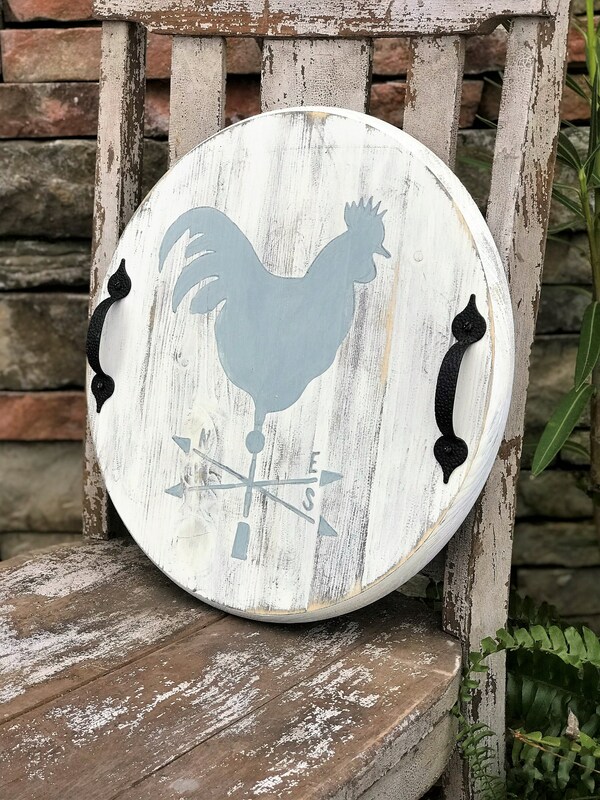 It measures 15" round, is painted a rustic white with a dusty blue rooster weather vane. The handles are hammered metal in black. Made with solid pine.